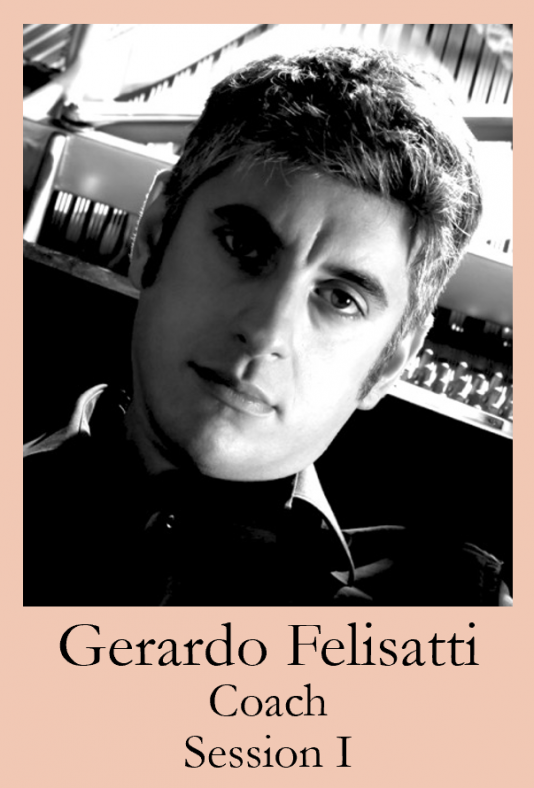 Gerardo Felisatti graduated with highest honors from the Rovigo Conservatory with degrees in piano and vocal chamber music. Subsequently, he was awarded an Erasmus scholarship to study at the Staatliche Hochschule in Mannheim, Germany. In 2012 he received an advanced degree in “Maestro Sostituto e Korrepetitior” at the Saint Cecilia Conservatory in Rome. He is currently an accompanist and vocal coach at the Teatro Sociale in Rovigo and for theatres in Padova, Vicenza, Bassano del Grappa and Treviso. He has worked with famous opera singers such as Katia Ricciarelli, Cecilia Gasdia, Daniela Mazzucato, Bruno De Simone, Luciana D’Intino, Mara Zampieri, and Riccardo Zanellato.